News of natural disasters appear almost daily in the media. While some events, such as floods and earthquakes, are restricted within certain geographic regions, wind storms respect no such bounds. Some areas of the country are more prone to tornadoes or hurricanes, but high wind gusts can hit anywhere. The potential for hurricane damage increases as more and more people willingly accept or ignore the associated risk of living in coastal areas. Yet, year after year, houses are demolished, and people lose their lives. The challenge is to rebuild in a way that will best weather the next storm, and ICFs offer shelter where needed. Extreme winds can damage a structure in many ways. Roofs may be pulled off and windows pushed in. The swirling winds also turn storm debris into high speed projectiles which can penetrate most cavity wall construction. Once the building envelope is punctured, the increased pressure inside can greatly augment the risk of failure of other building components. One solution for personal protection is to build a storm shelter. For choice of materials, FEMA proposes Insulating Concrete Form (ICF) construction. The recommendation in the “Taking Shelter from the Storm” guide (FEMA 320) is based on testing done at Texas Tech University’s Wind Engineering Research Center. “Safety was a secondary consideration when we chose to build with ICFs. For us, the greatest benefit was its energy efficiency. Yet we’re alive today because of these walls.”- Homeowner Randy Robbins after his ICF house was hit by an F2 tornado with twister forces of 113-157 mph. Hurricane conditions were simulated with a 2”x4” wood stud “missile” launched at 100 mph, the speed at which flying debris can travel in a 250 mph circular wind. Of the various walls types tested, wood framed walls could not withstand the impact, while solid concrete ICF walls held strong. Of course, ICFs also offer other types of protection – from heat and cold, from water, from noise and from bugs! So rather than build a shelter in your home – why not build your home as a shelter? ICFs provide superior protection against natural disasters, while offering comfort and energy savings at all times. The governing building code provides minimum construction requirements. For example, IRC section 611. 9 specifies the roof to ICF wall connection, with prescribed size and spacing of anchor bolts. Some state codes may have stricter measures, or provide alternative guidance. In general, buildings are required to be designed to withstand a wind speed that has an approximate 500-year return period. 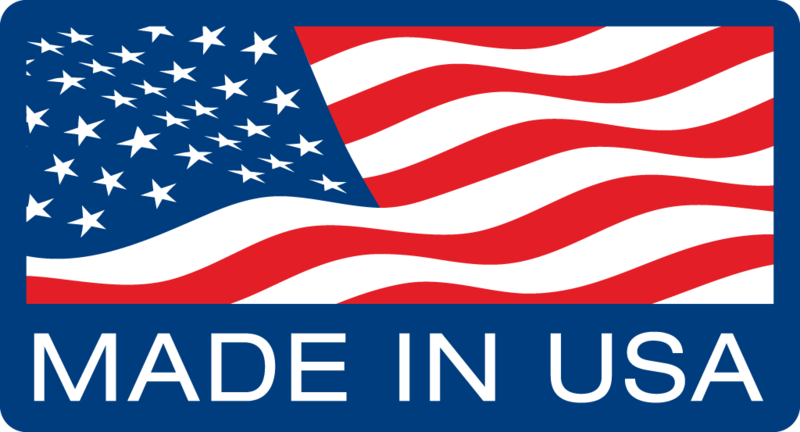 ICF Construction is storm insurance that pays for itself through energy savings. While this is not equivalent to the wind speeds that can be generated by tornadoes, ICF buildings designed and constructed in accordance with contemporary codes have withstood hurricanes and tornadoes. To promote the construction of homes that provide more protection from hurricane-force winds than the minimum requirements of building codes, the Institute for Business and Home Safety (www.ibhs.org) has developed the Fortified … for safer living® program. Homes must meet specific construction, design and landscaping guidelines to be awarded program recognition. The guidelines are tailored to meet the climatic challenges of different geographic regions, such as hurricanes in the southeastern United States and tornadoes in the Midwest. The Fortified … for safer living® program recognizes the valuable role of ICF construction when reviewing the impact of building design, height and length-to-width ratio of a home’s plans. While wood frame houses are limited to 2 stories and 10 ft per story, homes built with ICFs can qualify with a 3rd floor and story heights of up to 20 ft. Additional requirements for wind loading are readily achievable in monolithic concrete ICF walls with the addition of reinforcing steel. These walls can be engineered to withstand circular winds up to 250 mph with shear wall strength of up to 10,000 pounds per linear foot. Also, the use of ICFs for exterior walls eliminates the time and cost of wood sheathing, special overlaps and nailing schedules. A common element to all wind perils is the need for a continuous and adequate load path from the roof to the foundation of the home as a means to transmit wind uplift and shear loads safely to the ground. The ICF wall to foundation connection is already strengthened by the required vertical reinforcing steel bars. For the roof and floor connections, manufacturers have produced hardware specific to the ICF industry, which is designed to be either castin-place or retrofitted after the concrete has cured. Roof trusses can be attached with straps either to metal plates embedded in the top of the concrete wall or directly to the concrete. The wall-to-floor connection can be reinforced and secured with ledger connector systems that have lateral capacity to help resist the horizontal forces imposed on the structure by a high-wind event. Windows and door penetrations can also be a weak link. Design requirements for windows include impact resistance and design pressures, and the frames need to be properly anchored to the main wind-force resisting system (in this case, concrete) according to manufacturer’s installation instructions. Window and door penetrations should have proper flashing in accordance with applicable code requirements and ASTM standard practice. Storms are here to stay – and so are ICF buildings. With ICF construction, a builder has the opportunity to offer a true luxury – the chance to live in a desirable location, enjoy comfort and energy savings, as well as the peace of mind that the house is well-protected from nature’s wrath. Now that makes sense. This information is provided by the Insulating Concrete Form Association (ICFA). 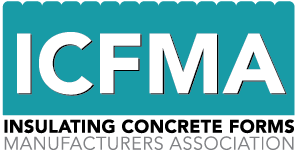 The Insulating Concrete Form Association (ICFA) is the business association of the insulating concrete form industry, representing over 460 international firms through ICF promotion, codes and standards, research, partnership and education.